In the last few years, I have noticed that the majority of techniques I teach involve backward rolls at their conclusion. This is another way of saying that the mechanics of the techniques cause uke to lose his balance backwards. Of late, I have been thinking of some of the implications of practicing in this manner. First, let’s consider what techniques lead to forward falls in the core curriculum as commonly practiced in aikido dojos. For the sake of ease, I consulted this extensive list of aikido techniques as a guide. 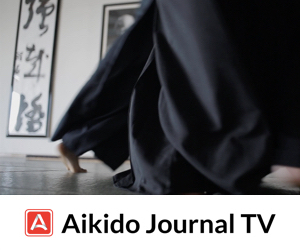 A close inspection of aikido basics reveals that there are really there are very few techniques that require uke to take a forward fall or roll. Various types of kokyunage techniques, kaitennage, jujinage, and perhaps a few others fall into this category. 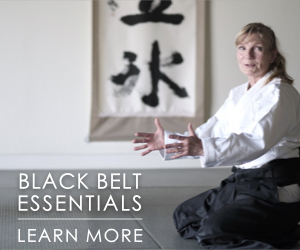 The majority of the basics conclude with backward falls or rolls. Note that although ikkyo through yonkyo techniques usually end with uke face down and pinned on the mat, I consider these as a special category of techniques that end without a backward or forward fall and thus to be outside the scope of this discussion. On the other hand, there are a number of important basic techniques that may end with either backward or forward falls. Kotegaeshi, shihonage, iriminage and some kokyunage techniques come immediately to mind. 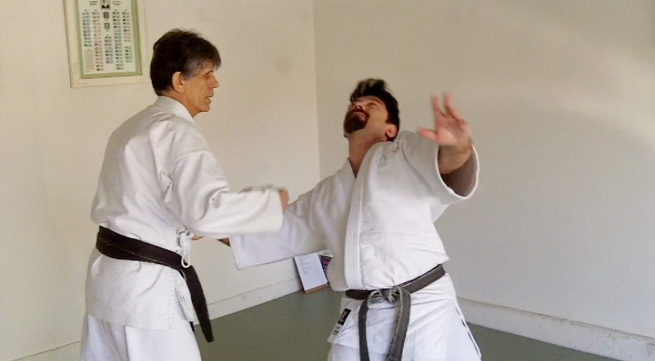 How the falls from these techniques occur may depend on the level of the student, common training methods of the dojo, or whether the techniques are being practiced in a class setting or performed in special circumstances like a public demonstration. Now we reach the crux of the discussion. If this category of techniques may conclude with either a backward or forward roll, who decides what fall is taken? What are the implications of employing one fall or the other from a practical or strategic standpoint? Thinking this through further, if you lose your balance backward, it can be downright scary and dangerous to find yourself in the situation of having to take a fall. This is especially the case if your body is completely controlled and you can’t see what lies behind you. You are truly at the mercy of nage, the person throwing. Obviously, the risk of injury is ever present. What to do? Under these circumstances, the admonition of Morihiro Saito Sensei offers an interesting perspective and solution: “Waza wa kibishiku, nage wa shizuka ni” (Apply the technique severely, but execute the throw softly). Adopting this principle in training keeps practice safe. That leaves us with the category of techniques with “optional” falls. From uke’s standpoint, if we say the fall from a technique is optional, or put differently, “fall either forward or backward as you like”, we are implying that uke makes the decision about what to do. Do you see where this is leading? If the decision of how to conclude the technique is uke’s, then he must retain full or at least partial control over his body movement to finish the technique on his own, as it were. Only under such circumstances can uke execute a spectacular high fall as commonly seen in demonstrations. The flip side of this — no pun intended! — is that nage has not fully controled uke when executing the technique since uke will make the final choice on how to fall. You can see this occur in everyday practice in the dojo when senior students take falls for beginners. From where I stand, this is not a desirable situation. 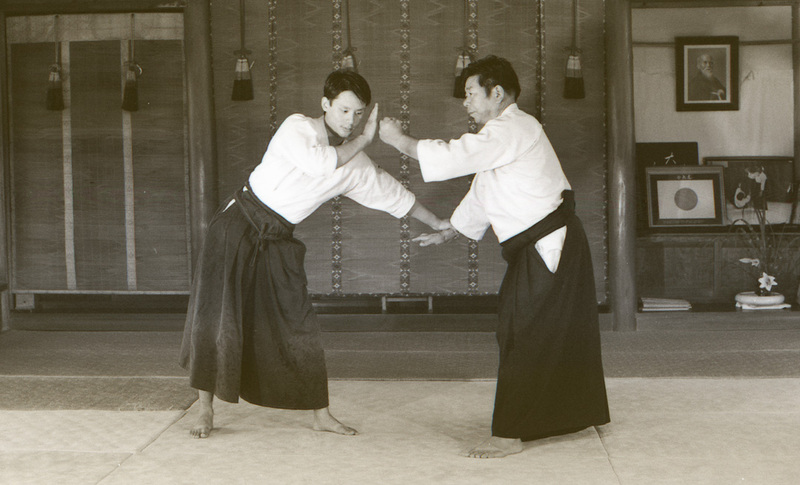 If aikido techniques are to be considered effective — and demonstrably so — then nage must be in full control from beginning to end. 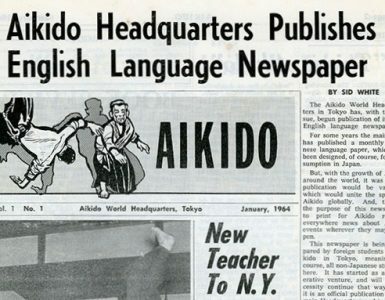 Anything less disqualifies aikido as a martial art. One might be tempted to say that what I am advocating is a brutal approach to aikido with a high risk of injury. My reply would be, first of all, to re-read Saito Sensei words and think of what they imply. In classes I have taught over the years, practice has been safe and injuries few and far between. This is not a coincidence but by design. My sincere belief is that it is possible to develop powerful, potentially lethal techniques, but conclude them gently for the sake of safety. This is achieved not through the use of physical force, but through a purposeful relaxation all throughout the execution of the technique. Nage’s goal is to immediately gain the initiative, apply an inescapable technique, but allow a gentle conclusion. imo – The earlier you start the fall the more choice you have, and the back fall has an advantage on concrete that you actually aren’t falling that far. You let yourself down. Starting early involves “riding” the technique. One of the branches of riding the technique is countermeasures. Both resistance and countermeasures can lead to a place where safe falls are limited or impossible. When you reach the age of 74,8 with various health issues, but still want to practice , you have to make certain decisions. You really want to keep doing forward rolls, but you have to use your good sense and do only backward rolls or no rolls at all.. Aw ! You are not 25 anymore! My Sensei Peter Bernath Sensei 7th Dan Shihan at Florida Aikikai did not want me take any falls, But I am still taking backward falls and still getting up. It is an ego thing that you are still who you were! But when I am on the mat, I AM Alive! You can check me out at Youtube-Ed Delz. I couldn’t agree more with your article. It feels good to read such a discourse. Saito sensei’s words are very insightful: they provide a guideline for the fall but also the whole training spirit. May I add that most techniques are designed to throw uke/aite backwards and not forward? The initial design is to smash the head on the ground to knock the opponent, not the partner, off. During keiko the fall, preferably backwards if we don’t want to lose the very essence of the technique, is a gift, not the heart of the technique itself as seen too often nowadays. “Waza wa kibishiku, nage wa shizuka ni” will be part of my Aikido vocabulary from now on. I remember during my visit to Hombu dojo earlier this year, that some sensei even wanted us to practice the techniques up to the throw and then not execute the throw in the end. It makes perfect sense to me, especially in a crowded dojo. Let’s save those huge break falls for the demonstrations. Thank you for another excellent article, Stan. Excellent topic. I feel that for nage to be in complete control entirely through a technique they have to have applied kuzushi — that is, completely destroyed the internal composure of uke. Indeed from there, having succeeded, they should only finish the technique in a manner that the uke is capable of handling, and considering the training or demonstration situation, as Saito Sensei suggested. The difficulty with that ideal is that, as far as I can discern from my own experience, kuzushi — the complete destruction of uke’s internal composure, is a skill that takes many years to master. I see it as something learned in stages, from the simple angles and zig-zag movements of ikkyou, through to the ability of being able to undo the composure of someone as soon as they grab you, with only the tiniest and most subtle adjustment of one’s own body, developed to a degree that it is second nature. Great video on YouTube! I only hope I can continue to be as active as you are. Also, Happy Belated Anniversary for your liver transplant! Pranin, Sensei: I consider you THE Aikido scholar! I appreciate so much all of your work and dedication. 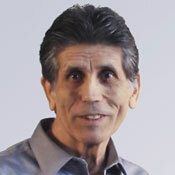 I have purchased several online course through your website and find them all wonderfully helpful. you are a good man. -Love, Tom. In previous discussions you have emphasized the crucial importance of ‘taking balance’ as demonstrated by O Sensei and systematized by Saito Morihiro. 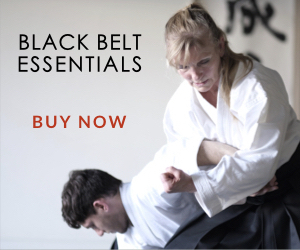 The signature of a martial art is to execute technique with swift, uncompromising efficacy. What distinguishes Aikido is that we are able, through honest practice and skillful execution, to conclude techniques in a way that doesn’t [unnecessarily] harm our partner. That is the essence of Aikido! Techniques MUST be effective AND must be concerned with the well being of the partner. 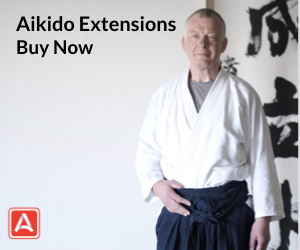 This is what distinguishes Aikido from nearly all others. I recently had the honor of a small group seminar with a long time student of Saito Sensei and the founder of the TAA, Bill Witt. Notice the first item; do Sensei’s techniques work? If they don’t stop now! What I call ‘high flying ukemi’ isn’t the goal of Aikido; it can be a consequence of a technique, but it is never the goal. Aikido is not a sport; it isn’t a competition. It is a combat art refined such that a skillful practitioner is always able to choose devastation and almost always chooses to do just enough… and no more. You are sticking to these principles at a time when many others seem to be moving toward a ‘martial-less’ Aikido. Expanding – uke and nage have distinct roles (no pun intended). Nage, obviously, wants to avoid uke’s attack and control the situation. If nage wishes to control uke all the way to the ground and succeeds in doing so, the outcome will either be uke landing on their front for a pinning technique, or back for a throw. Uke, failing in their first attack takes a fairly uniquely aikido course of action, falling in a controlled manner. Ideally for uke that will either be a forward roll of some sort that preserves kinetic energy and gains distance, or entraining nage into a back fall, sutemi-waza reversal. In a multiple person situation it is in nage’s interest to facilitate uke’s early escape, if perhaps aiming it at other attackers. In a one-on-one, nage would want to retain control all the way to some sort of pin. In aikido pins uke is (almost always) face down, so there will be a controlled transition from back to front. Think kotegaeshi. As I write I think of exceptions. Kokyu ho has a couple of options for controlling uke, capturing him in a backbend. Irimi nage also presents a similar capture option. There are daito-ryu variations of shihonage and juji nage which merit study, though I’ve never seen them taught in an aikido dojo. Flying falls are applicable either for show, as an escape from a failed countermeasure, or if nage is throwing stronger, harder and faster than uke’s body can react when still attached to the ground. It’s really hard for nage to break bones when uke is in free flight. As uke I’ve always found that fraction of a second of free time in the air useful for collecting my thoughts and assessing the probable situation when I will land. In my hard earned dotage I have come to make a distinction between “Aikido” (effective, often simple, potentially lethal if misused,charitable Budo as O-Sensei left us) and “Dojo Aikido” (the flashy, high flying, great fun and great physical exercise of dojo practice and of most demonstrations. Each may have a place, but the problem is that those who practice only “Dojo Aikido” may try to apply it in the unfortunate event of an incident of real, violent social interaction, with the result of either being totally ineffective (with embarrassing or fatal results for the Aikido deshi) or the risk of damaging or killing the attacker(s). The concomitant legal ramifications, both criminal and civil, can destroy the Aikido deshi. Depending on the position of nage, uke’s choices of falling technique are quite narrow… This is the reason why shihonage is considered as the most dangerous technic of aikido. From my perspective, uke should have very little choice when falling. Ideally, nage should control the attacker completely. For this reason, nage has great responsibility to leave uke a safe option so as to avoid injuries. I would go further and say that, if shiho nage is performed correctly and in the right spirit, shite (nage) should be able to define precisely whether uke lands, forward or backward, although I would hope never forward outside of the dojo. Shite should also be able to redirect uke as to where he will land. In the real world no responsible Aikideshi would drop an attacker onto a broken beer bottle or other hazardous landing spot. If shite cannot so direct uke with shiho nage then the waza is being performed incorrectly. As you so correctly say, nage is in control from beginning to end. Shiho nage says Four Direction Projection but means that uke may be projected in ANY direction. 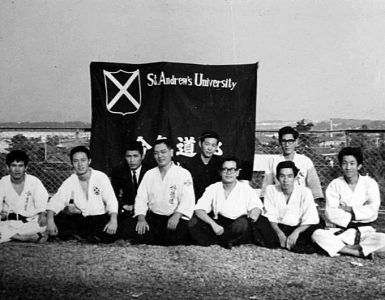 This article is a perfect example of how Pranin Sensei’s insights and sensible observations helped so many aikidoka , especially those of us needing reliable protection skills in law enforcement and security work, to stay with aikido rather than abandoning it for other systems of self defense. Stripped of the theatrics, acrobatics and modern embellishments the effectiveness of O-Sensei’s Takemusu Aiki becomes clear. Stan’s genius was making these observations seem simple and obvious.